Nikolaos Dimitriadis, Ph.D., is an award-winning communications professional, educator and consultant. He is the author of the book “Neuroscience for Leaders: A Brain Adaptive Leadership Approach” (Kogan Page, London) and spoke at TEDx University of Strathclyde for the urgent need for Brain-Based Communication. 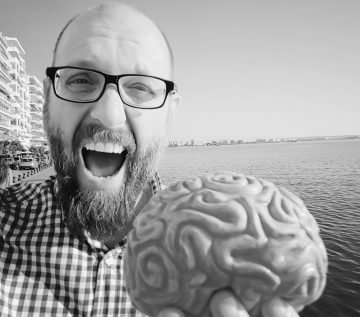 He is a certified Neuromarketer and a contributor to the Neuromarketing Manager Program at Hamburg Media School. He is a mentor of startups at the ICT HUB, Belgrade, Serbia. He is currently the Development Director at The University of Sheffield International Faculty, City College. Dimitriadis, Ph.D., is a strong advocate of brain-based solutions to business challenges. He has worked with IKEA, Nestle, Raiffeisen Bank, Coca Cola and other well-known corporations. The Marketer is Dead! Long Live the Transformational Marketer! A new breed of marketers is needed. The new marketer will have to fully utilize technological and scientific developments from diverse fields, such as neuroscience, analytics and decision science, to deliver what most companies desire but fail to obtain: real transformation from real leadership. It is time for marketers to perform the company-wide role they deserve: the role of the Transformational Leader. The era of marketers as functional experts and departmental managers is over! And it is our outmost responsibility to prepare for this. Otherwise, one more opportunity for marketing to shine will be lost.